E-wallets are an excellent way to move money to and from your online casino account and Paypal is the most popular of them all. Each year over 20 million UK shoppers use Paypal to make online purchases and there are lots of good reasons to consider it as your main online casino banking method. Making online casino deposits and withdrawals using Paypal is fast, easy and secure. And since lots of people already have a Paypal account set up for online shopping, using it for online gambling is a breeze. Not all online casinos available in the UK accept Paypal, however, but it always reflects positively on the casino brand when they do. 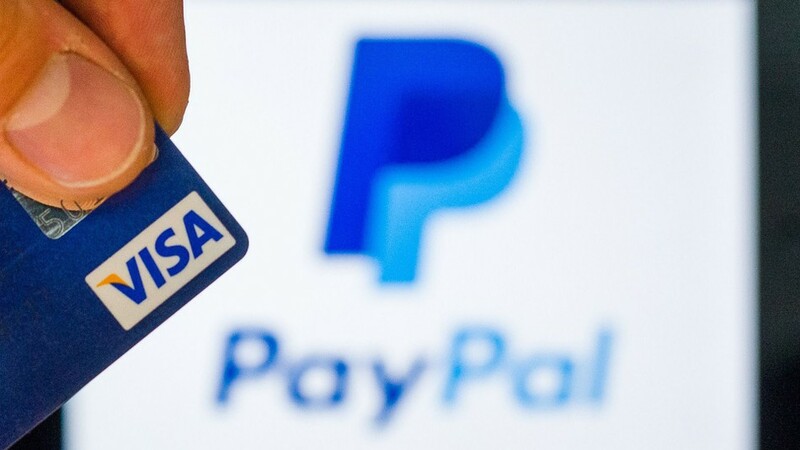 Keep reading to learn more about the biggest benefits of using Paypal for online gambling, how to make online casino deposits and withdrawals using Paypal, which UK online casinos accept Paypal and the average wait times you can expect for different Paypal transactions. If you don’t have a Paypal account already, registering for one and getting it up and running is really easy. Go to the Paypal website and follow the instructions to set up a new account. All you need is an email and a password to get started. Once you’ve registered, link your Paypal account to your bank account, credit or debit card to move money. Once you have funds in your Paypal account you can use it to make a deposits and withdrawals at your favourite online casino. In addition to making online casino transactions easy, you’ll also be able to use your Paypal account to make other purchases online. Safety and Security – Similar to using a credit card at online casinos, using an e-wallet puts an additional layer of security between the casino and your bank accounts. Paypal has tons of built in safeguards and tools to help protect its customers. The casino never gets to see your banking information and if there’s a problem, you can file a claim with Paypal and get reimbursed for any lost money. Fast Deposits and Withdrawals – Paypal is among the quickest ways to get money on and off your account. Deposits hit your account right away and withdrawals usually take five days or less to process and arrive in your account. Strong Reputation – Even though major online casinos are licensed and safe, it’s nice to have Paypal’s strong reputation to rely on as well. Paypal has European banking licenses which mean it undergoes rigorous third-party audits and oversight. Paypal has been around since the late 1990s and was purchased by eBay in 2002. 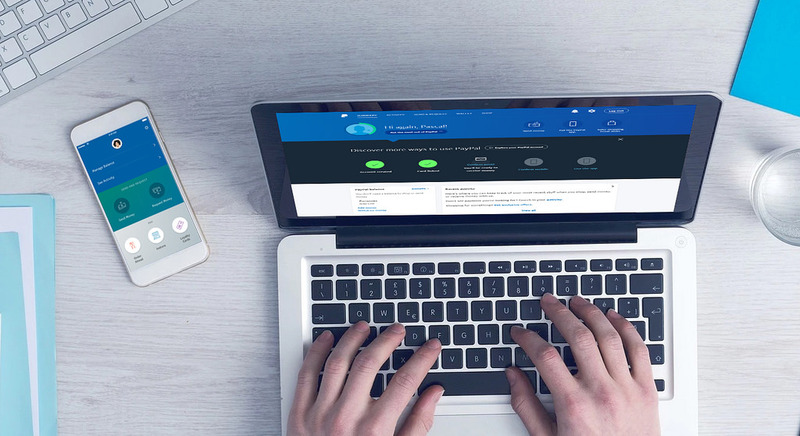 Once your Paypal account is up and running, using it to make online gambling transactions couldn’t be easier. Just make sure that your online casino accepts Paypal for deposits. The majority of major brands do accept it, but it’s worth taking a quick look at the casino’s website to make sure. Go to the casino’s cashier and select Paypal as your deposit method. As long as everything is working properly you should have the money in your account, ready to play with, right away. Something else to look into with your specific casino is the fees. Different casinos have different policies when it comes to extra fees for Paypal deposits. Some casinos charge them while others do not so check with your casino to find out. If your specific online casino allows Paypal withdrawals it’s a great way to get money off your account. To get started just go to the cashier and select Paypal as your withdrawal method. If your original depositing method was with Paypal, the withdrawal process will be smoother. If you used another deposit method, don’t worry. Expect the casino to ask you to provide additional information to verify that the Paypal account really belongs to you and that you are the account owner. Once you’ve submitted the withdrawal request, the money should be in your Paypal account in three days or less. Most major casinos allow withdrawals using Paypal but it’s worth checking out to make sure. There are some that allow deposits but don’t allow withdrawals. Check the information on your casino’s website for details. One of the biggest perks of using Paypal to fund your online casino account is that in lots of cases, there are no extra fees. The only time you’ll pay fees when depositing with Paypal is if you’re doing a currency conversion or cross-border payment. Sometimes you’ll pay extra fees when you use Paypal with your credit card and you’ll also pay a 3.4% + 20p fee when receiving money, like from an online casino withdrawal. If you find you’re making lots of withdrawals and not a lot of deposits, you may consider using a different e-wallet like Skrill or Neteller since they don’t charge any fee at all for receiving money. Usually deposits using Paypal happen instantly, meaning the money will be ready to play with immediately, but withdrawals take a little longer. Most casinos on the internet process Paypal withdrawals in less than five business days but wait times can depend on a few things including whether you deposited with Paypal, if you’re withdrawing cleared bonus money or if the casino feels additional security checks are necessary. Paypal started in 1998 as a company called Confinity, developed by Max Levchin, Peter Thiel, Luke Nosek and Ken Howery. The group was building security software for handheld devices but launched as a money transfer service in 1999 with additional funding from John Malloy and BlueRun Ventures. The following year Confinity merged with X.com, an online payment processing company founded by Elon Musk. Under Musk’s direction, the new company decided to terminate all other businesses to focus on the money transfer service. In 2001 it was renamed Paypal and experienced rapid growth. In 2002 Paypal was taken public with an IPO of 5.4 million shares at $13 USD per share, generating over $61 million. Shortly after going public, Paypal was acquired by eBay for $1.5 billion which represented a massive increase in just a few months. Paypal became one of the most commonly used payment options on eBay and was responsible for roughly a quarter of the total transactions conducted on the site. Paypal was in direct competition with many other similar services including Citibank’s c2it, Yahoo!’s PayDirect, Google Checkout and Western Union’s BidPay, all of which failed in the following years. In 2005 Paypal acquired VeriSign’s payment technology and continued to expand with a partnership in 2007 with Mastercard that allowed Paypal users to make purchases on websites that didn’t accept Paypal by generating a unique Mastercard credit card number for customers. By 2015 Paypal’s market cap was roughly $50 billion which was actually larger than eBay’s core business as an auction site.